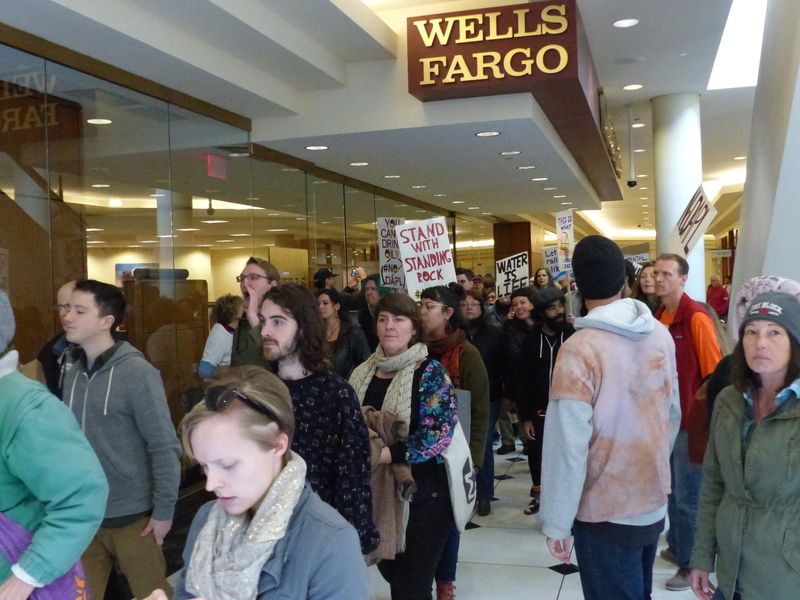 Here are four takeaways from the rally, and more photos. 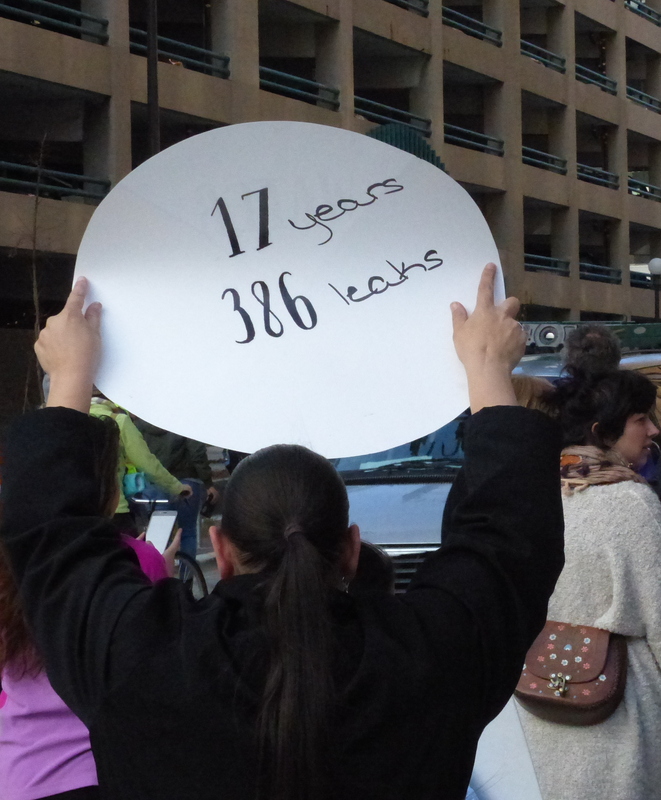 Rally in front of the U.S. Army Corps of Engineers headquarters in downtown St. Paul. 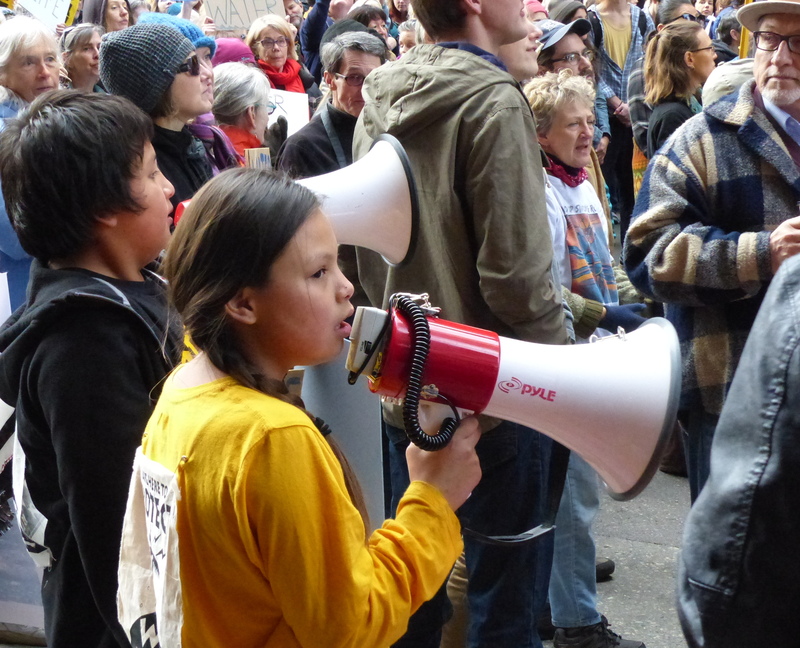 Native youth helped lead chants. Takeaway #1: This was an indigenous-led event, and included young leaders. Kelly Sherman-Conroy (Oglala Lakota), a student at Luther Seminary, was one of the speakers. 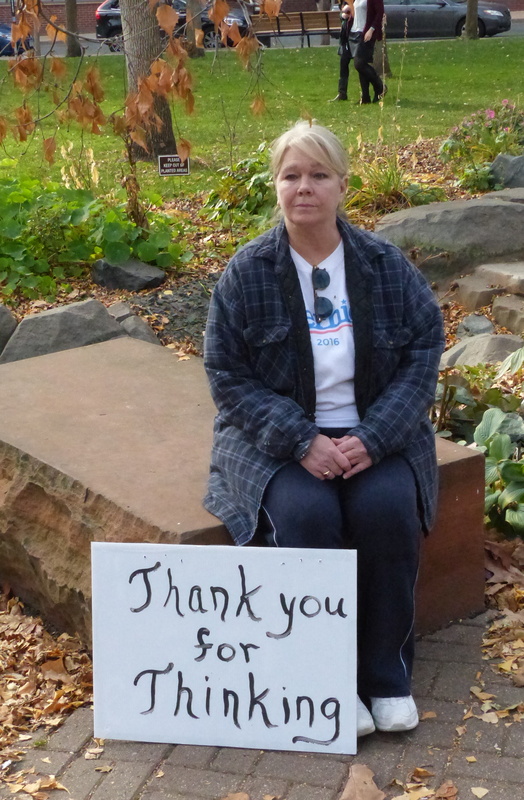 She told how she traveled to Standing Rock with hundreds of other religious leaders Nov. 3 to stand in solidarity with the water protectors trying to stop the pipeline. (Here is Sherman-Conroy’s account as well as a story from the Baptist News Global.) 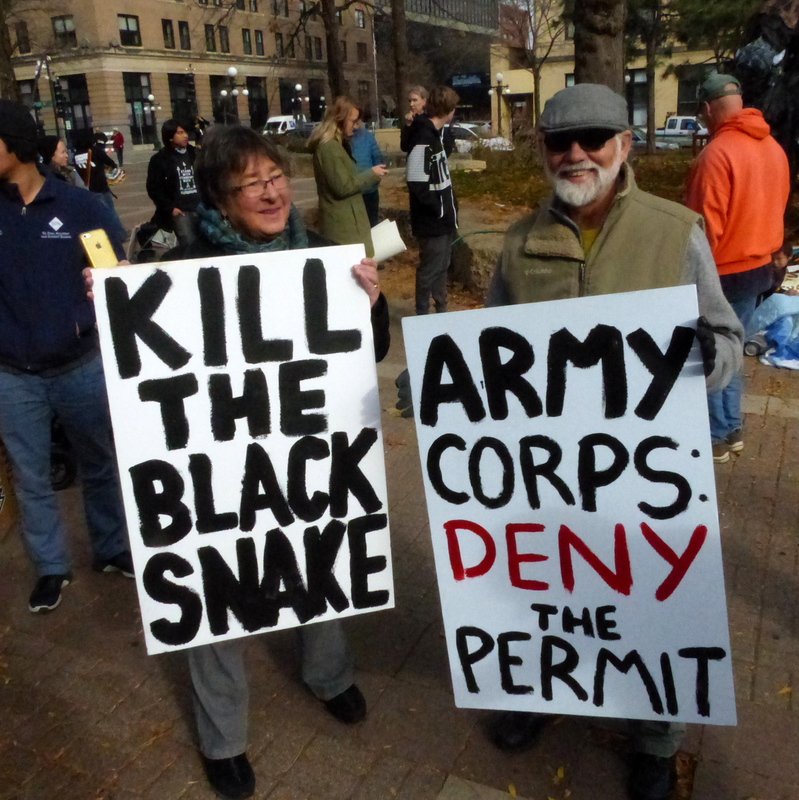 Sherman-Conroy told the Mears Park crowd: “We are here to stand in prayerful action … We are here to lift up our Indian brothers and sisters today.” Later, at the Army Corps of Engineers headquarters, young people helped lead the call-and response: “Mni Wiconi … Water is Life!” Other younger adult leaders came forward to speak. Mary Lyons, Anishinaabe kwe elder. She cautioned people: “Don’t walk in that space of anger. … Don’t. That is feeding the beast. You are losing yourself.” Instead, take care of the foundation, she said. “We take care of our children and grandchildren. … Don’t teach them the anger. Make sure that they can carry that positive within them. 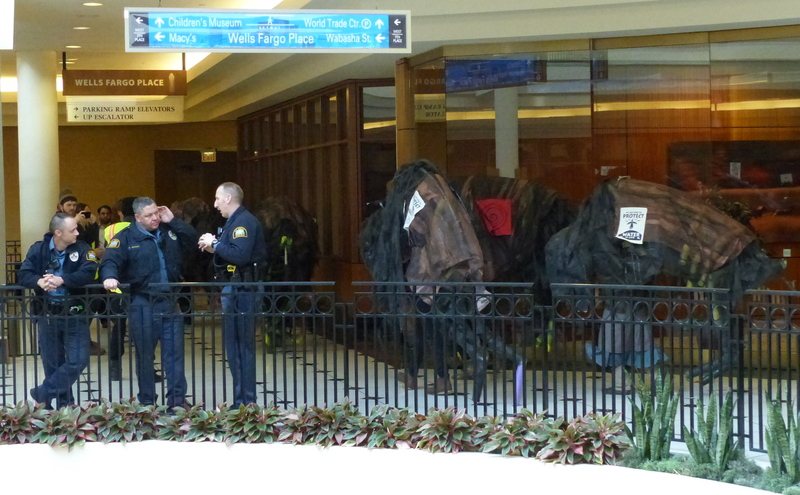 Police chillin’ as the bison clomp by at Wells Fargo Place. Takeaway #3: The Morton County Sheriff’s Office could learn something from the St. Paul Police Department. Think about what has been going on near Standing Rock, with the militarized response, the tear gas, the arrests. 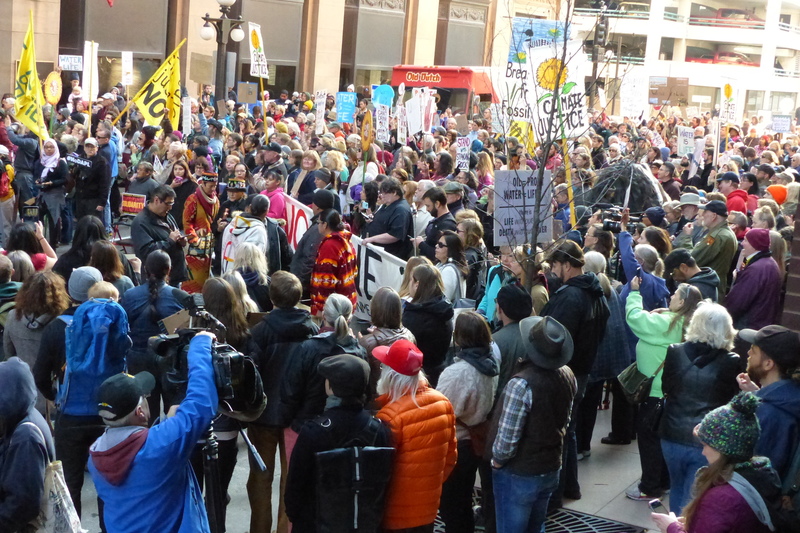 Now compare that to what happened when a number of pipeline opponents marched into Wells Fargo Plaza in downtown St. Paul and started chanting: “No more pipelines … Water is Life!” The procession included a number of people dressed up as bison who went stomping around the plaza, too. Check out this photo (left) with St. Paul police and the bison. 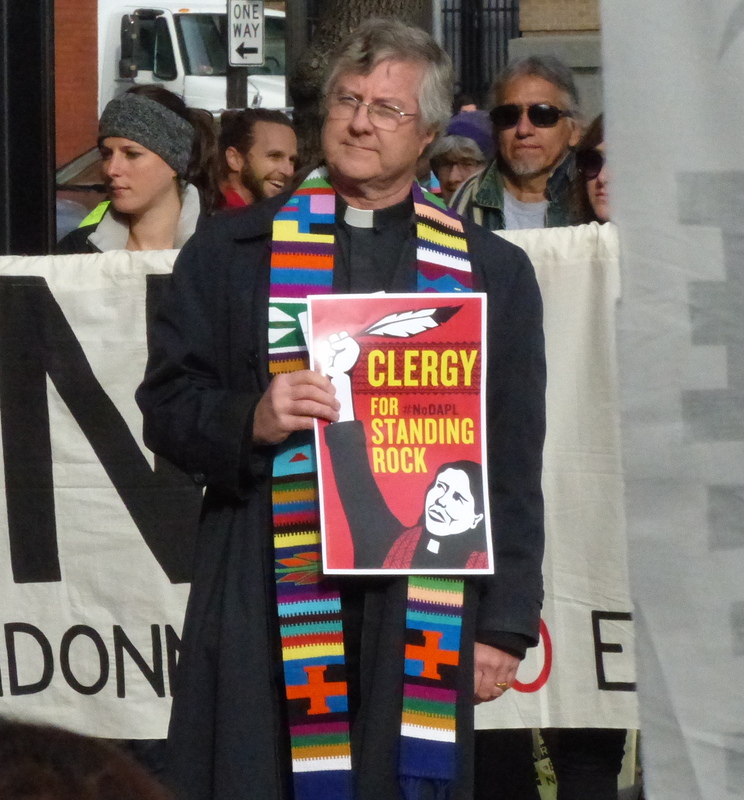 ELCA Pastor James Erlandson read a prayer that had been offered at Standing Rock. Takeaway #4: The term “Doctrine of Discovery” is becoming more and more part of our vernacular. 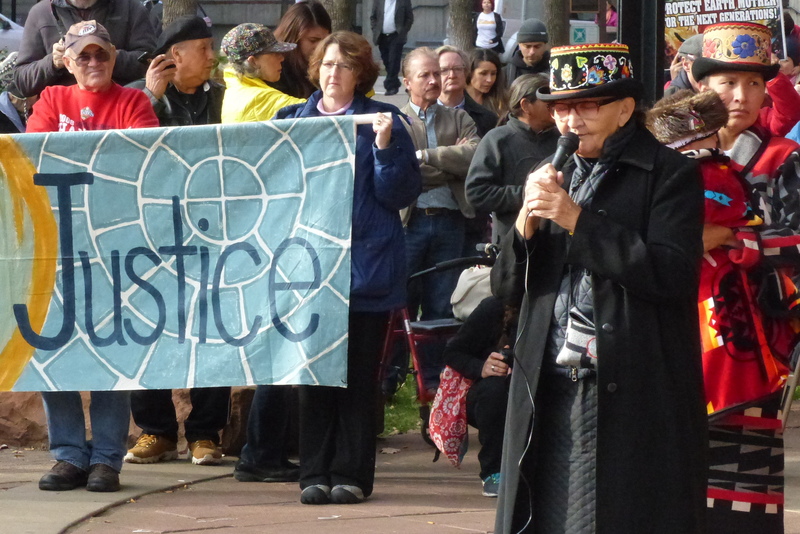 Sherman-Conroy talked about the Doctrine of Discovery in her Mears Park speech. Until recently, this was an obscure term that interested lawyers and scholars but few else. Thanks to people like filmmaker Sheldon Wolfchild, scholar Steven Newcomb, and religious leaders, the term is becoming more familiar in conversation. Lastly, I enjoyed walking around the crowd and taking photos of people who came with creative signs.